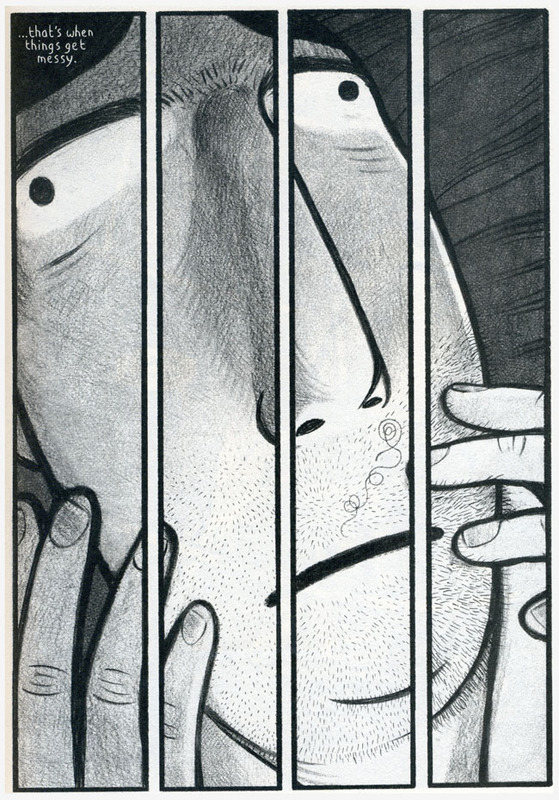 Two recent works in comics tackle our sad lot in cubicles from two distinctive vantage points: “The Gigantic Beard That Was Evil” by Stephen Collins; and “Facility Integrity” by Nick Maandag. Each has a very different sensibility but, at the end of the day, both can agree that office work and conformity are for the birds. Working in some faceless office building for some faceless corporation is a restrictive process. You wear a mask. You hold back. You’re a cog. Both Maandag and Collins play with this theme of restriction. Each provides a farce. What is fascinating is the context in which each is working in. Maandag comes from the scrappy world of indie minicomics. Collins comes from the world of a major book publisher. Maandag draws himself into a corner by embracing scatalogical content. Collins draws himself into a corner by embracing the look and feel of a children’s book. They draw themselves into a corner, so to speak, as they take a risk of limiting their audiences. That’s not to say that the risk is not worth taking. Both of these works are more whimsical and subversive than they might get credit for being at first glance. And perhaps a comparison brings out the best in each. Maandag’s “Facility Integrity,” while highly provocative, is made up of a number of gentle comedic beats and a wonderfully droll style. This is the story about the head of a company who installs a new bathroom policy among his employees in a crazy attempt to increase productivity. Conversely, Collins provides a story that, while full of sweet and fanciful elements, also has a nice satirical bite. In his story, much like Kafka’s “The Metamorphosis,” our hero, Dave, finds himself trapped in a colorless overly tidy world. 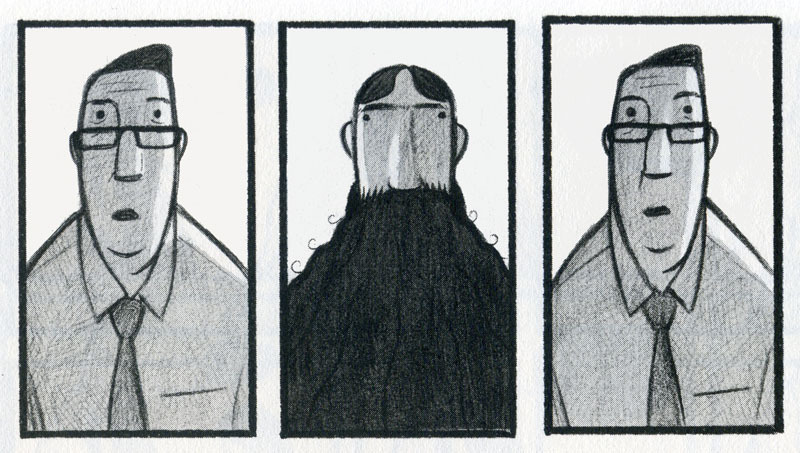 This triggers a colossal beard that sprouts from him and confronts the conformity around him. If there are any booksellers with a creative edge reading this, you may consider displaying these two books together. Or maybe you already have. 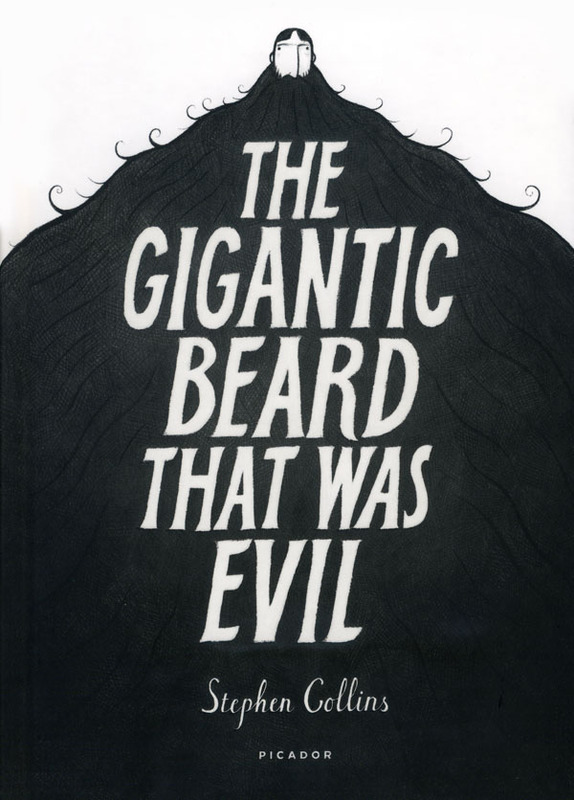 “The Gigantic Beard That Was Evil,” by Stephen Collins, is a 240-page hardcover, b+w interiors, priced at $20.00. It is published by Picador and available here, here, and here. 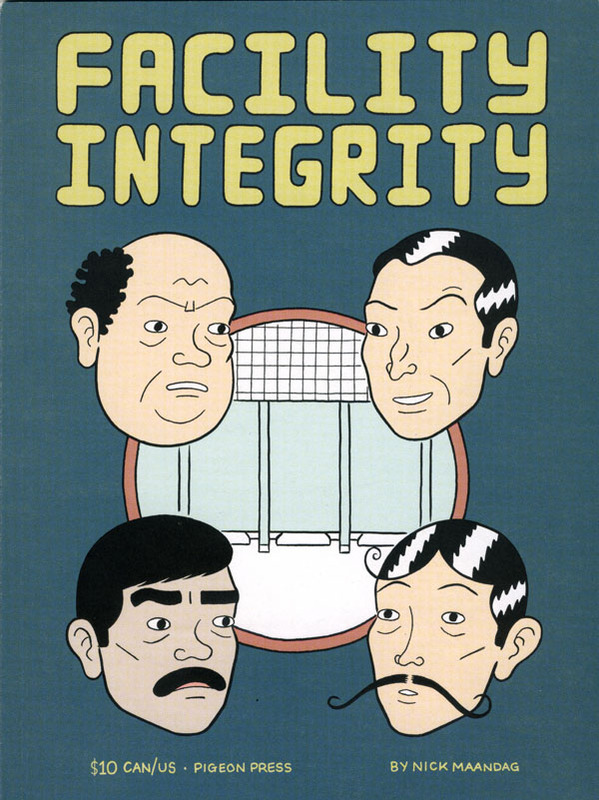 “Facility Integrity,” by Nick Maandag, is 64 pages, 6″ x 8″, full color covers, b+w interiors, priced at $10.00. It is published by Pigeon Press and available through Last Gasp and Spit and a Half.